They sat on a cement slab by the river. In the distance was a steel bridge with cars going in both directions. There were no clouds and it was about seventy degrees. Sometimes it was a little windy. Dakota Fanning was looking at her dress and boots and doing things with her hands. "That's what I do when I'm nervous," thought Haley Joel Osment. "I do things with my hands and, like, touch my clothes. I am observing her behavior. Learning." Haley Joel Osment and Dakota Fanning are the two main characters in Tao Lin's second novel, Richard Yates, which hits bookstores today. Lin takes readers inside their lives, exploring the relationship of a troubled young couple: Haley Joel Osment, a writer in his early twenties obsessed with veganism, and Dakota Fanning, a troubled teen who talks to older men via Gmail chat. Perhaps you are wondering why the character's names sound so familiar, or maybe you are questioning why he would use child stars' names? I wanted to avoid what is usually done in terms of names, for third-person autobiographical fiction, which is to use "made-up" names like Michelle or Dan or to use the author's name, for example Philip Roth. Using Haley Joel Osment and Dakota Fanning avoids those two choices in a manner that seems funny and, to some degree, exciting, to me, and also like I'm not interested in attempting to influence the reader into "losing themselves" into a fantasy world, that there is the "understanding" that the book exists in concrete reality, as something that came from my brain. Lin argues the characters are not meant to be stereotypes, quite possible because Haley Joel Osment's characteristics and experiences are so close to his own and there has admittedly been a Daokta Fanning in his past. I feel that the characters are specific and that most people are not like the characters in Richard Yates. I would say that the more I know a person the more unique they seem to me, and that this, I think, has been true of every person I've met. And that it is the same with books, in my experience. I don't think anyone is a stereotype of anyone else, I honestly think every person is different, and know that every person is literally different, and that I want to view characters in books in that way also. Lin's firm grasp on reality and the detours and sorrows of young relationships is explained in a deeply emotional way, despite the author's minimalist style. The characters resonate with you and perhaps even hit close to home. Don't be surprised if you find yourself crying inside for all 202 pages, if not for yourself but for these lost characters. Haley Joel Osment wants nothing more than to be loved and understood by, namely, Dakota Fanning, yet at the same time Haley wants her to be someone she is not. Like any typical human being, we project our pain onto the ones we love, whether consciously or not, which is exactly what Haley Joel Osment does. He knows people will change for each other (i.e. Haley's constant need to hound Dakota to eat properly and 'take green tea') but will eventually revert back to their original self, which is consistently exemplified throughout the novel. Tao Lin's cult following has yet to transform him into a best selling author. His style and voice is unlike any other and has gone on to influence a number of young authors. Will "Richard Yates" be his big break? Maybe. 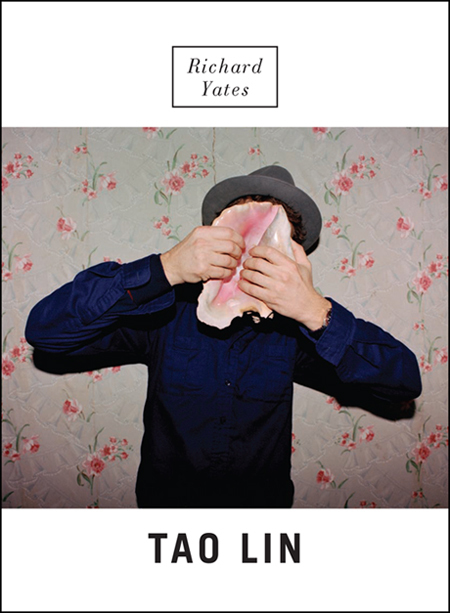 It is his best writing thus far, paralleling modern day relationships, and the truths within, just like Yates himself did so magically, but it will take a lot more publicity to launch him out of his hipster fan base. Still in his twenties and already improving from his first novel, Eeeee Eee Eeee, Lin has much more in store for us.